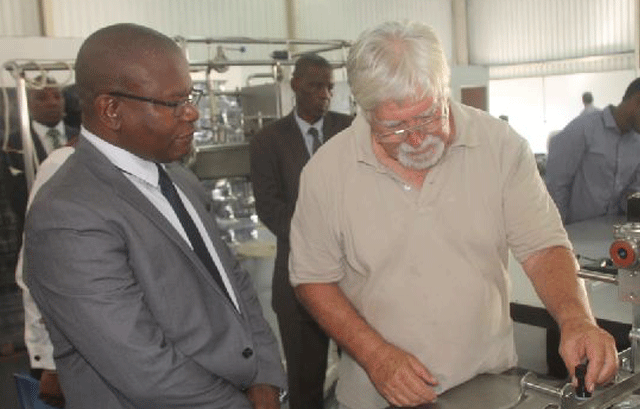 IN a first of its kind in Eswatini, wine will from now on be locally produced, as a new wine processing plant ran by Casa de Vino was officially opened on Wednesday. The new winery based in Matsapha was opened by the Minister of Commerce Industry and Trade Manqoba Khumalo. “My ministry is delighted that Eswatini Investment Promotion Authority (EIPA) has facilitated the investment by Casa de Vino in the past few months ensuring a soft landing in our business environment. It is encouraging to note that Casa de Vino brings value addition to our main commodity, which is sugar,” he said. The business, according to Khumalo, more than making sales of their product, will be helping the sugar industry to diversify as they will be requiring sugar as part of the wine-making process for fermentation. Khumalo said it is important that the country adopts strategies and programmes that promote value addition. The sugar quota allocated to the plant, according to Khumalo, would have not found its way to the international market as the Eswatini Sugar Association has been reporting reduction in sales in recent seasons. “To this end, I encourage Casa de Vino to grow the business and utilise additional quantities of sugar to take advantage of our extended market access in the European Union (EU) and recently concluded Economic Cooperation Agreement with Taiwan,” he said. Khumalo said of paramount importance is the Southern African Customs Union (SACU) market, which affords duty free market access. Khumalo also said the establishment of the wine plant has made history in the country’s industrial development landscape as the country will be known for its wine products in the global market. Khumalo encouraged the new wine producing company to take advantage of the upcoming Taipei iInternational Food Show, known as Food Taipei.